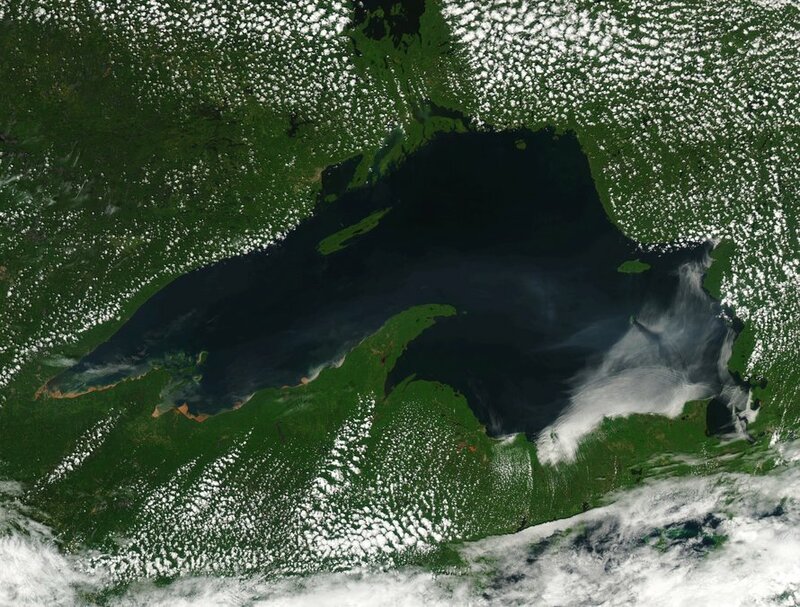 Lake Superior's blue shoreline has turned muddy brown after heavy rain caused flash flooding in the region. Satellite images from the CIMSS at the University of Wisconsin show murky runoff of sediments and mud flowing into the Lake's coastline. According to Weather.com , this type of imagery is usually seen on large bodies of water after large-scale flooding. On Monday, Gov. Snyder declared a state of emergency for Houghton and Menominee counties in the Upper Peninsula as a result of flood damage.